There is an osprey nest on the cell phone tower behind the Lowe’s nearby. I have to use my 600mm lens to get a reasonable photo. I took these photos at First Landing State Park. 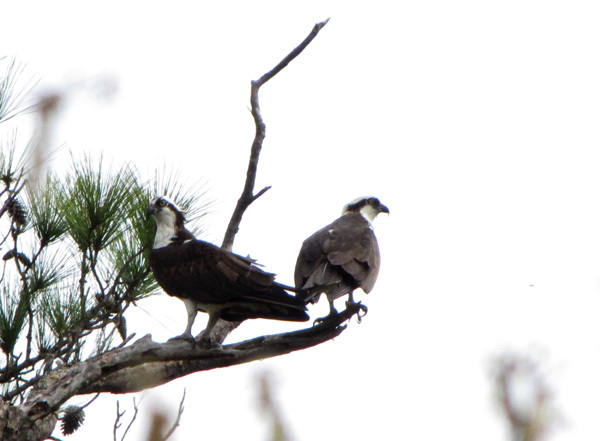 I don’t know how many osprey nest in the park, but there must be dozens. They are obviously accustomed to photographers, especially the ones that settle along the main road into the park. I wish everyone had access to such agreeable birds! Great slide show – beautiful! I think of you and your camera every time I see a bird!!! T’is the season for nature. Fo’ sure!